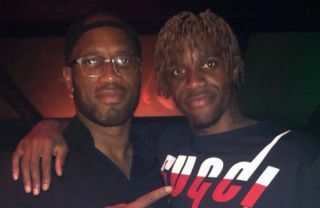 Crystal Palace winger Wilfried Zaha has posed for a photo with Chelsea legend Didier Drogba, sparking predictable responses from a number of Blues fans. Zaha has been one of the Premier League’s finest attacking players in the last couple of seasons, and was actually linked with Chelsea by the Daily Mirror last summer. With Eden Hazard’s contract up next summer and ageing duo Willian and Pedro not exactly on top form right now, signing the Ivory Coast international could make a lot of sense. #agentDidi Zaha to Chelsea inshallah ? ?